We don't often think of peonies as florist flowers. It's probably because their season is relatively short. 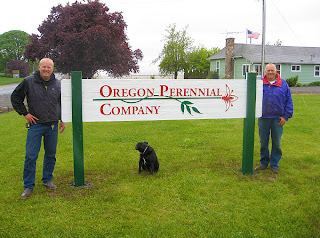 On a visit to Oregon Perennials, owners Piet and Andre Wierstra invited me on a tour of their wholesale cut peony operation. Impressive! The fields we saw on that cold, rainy day still had some 'Sarah Bernhardt' peonies, but earlier varieties like 'Joker' had already been picked. We loved visiting the warehouse where thousands of peonies are processed, bundled and stored for up to six weeks while awaiting shipment to florists all over the country. 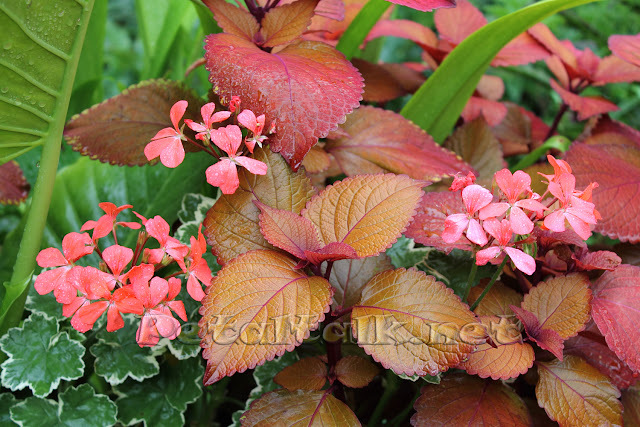 Andre (left) and Piet Wierstra of Oregon Perennial Co.
Great video...thanks for posting it.